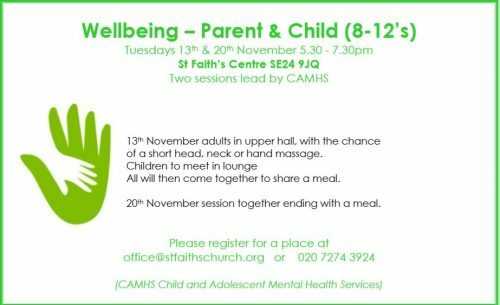 13th November adults in upper hall, with the chance of a short head, neck or hand massage. Children to meet in lounge All will then come together to share a meal. 20th November session together ending with a meal. Please contact us to register for a place.